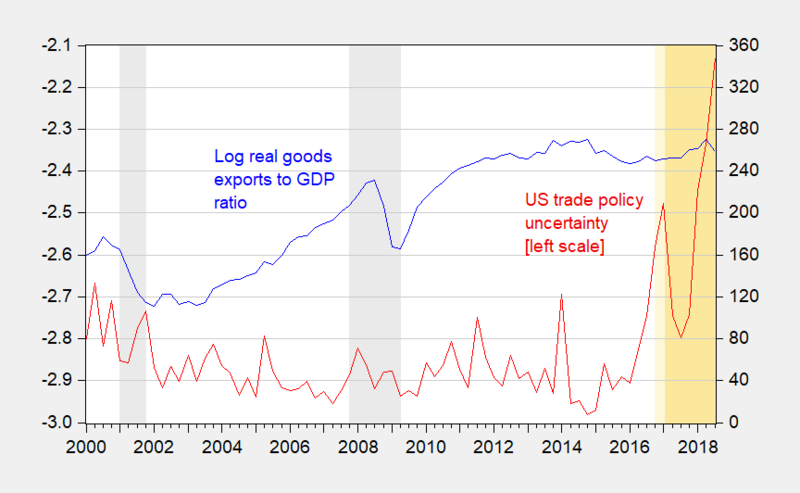 At a minimum, trade policy uncertainty has risen. Whether that has resulted in the stagnation in exports is an open question. 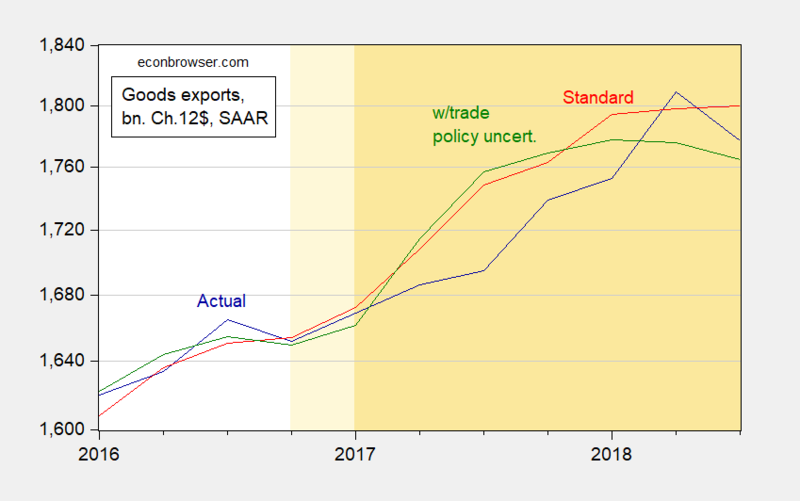 Figure 1: Log ratio goods exports to GDP, both in Ch.2012$ (blue, left scale), and US trade policy categorical index (red, right scale). NBER defined recession dates shaded gray. 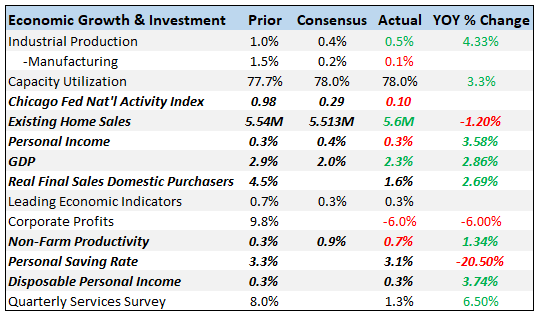 Source: BEA 2018Q3 advance, policyuncertainty.com, NBER, and author’s calculations. Update, 11/2, 7AM Pacific: The dollar obviously is of importance — confirmed by slowdown in exports in 2014. Measured uncertainty certainly seems to be associated with the downturn (it’s statistically signficant at the 4% msl) even after accounting for the dollar’s value (t-stat near 5).